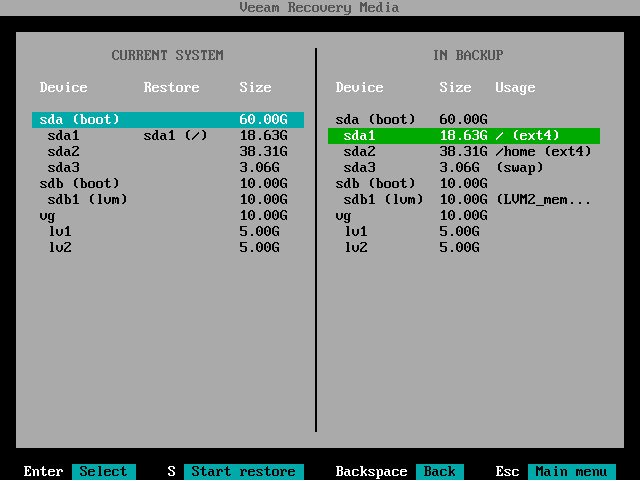 The In backup pane of the Veeam Recovery Media wizard contains a list of disks and volumes in the backup. 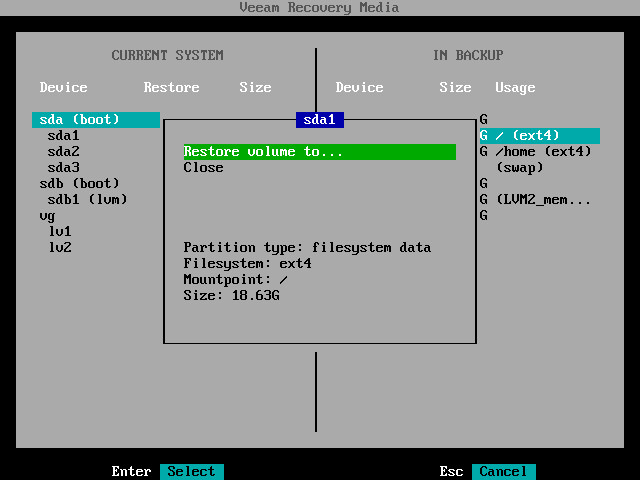 You can select volumes in the backup that you want to restore to your computer and specify mapping rules for these volumes. 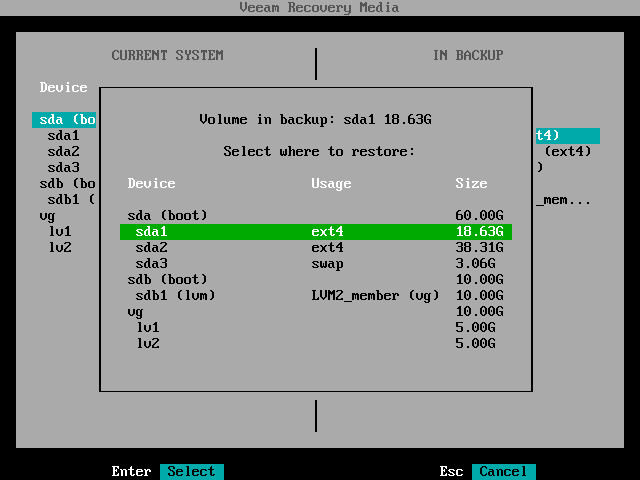 In the In backup pane, select a volume in the backup whose data you want to recover and press Enter. Restore volume to — select this option if you want to restore the selected volume to your computer. Select the Restore volume to option and press Enter. 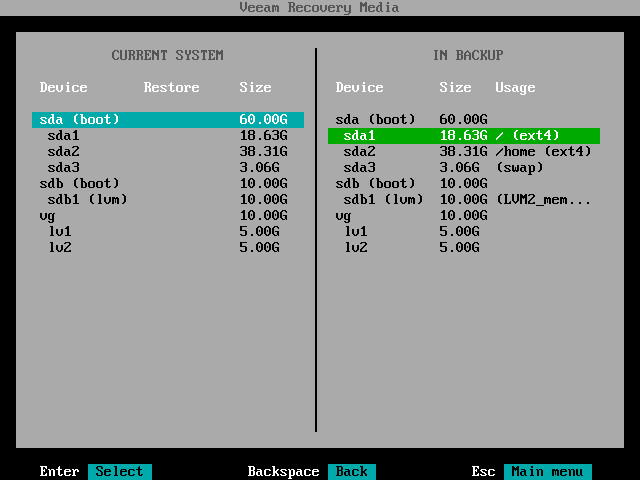 Veeam Agent for Linux will display a list of volumes on your computer. Select the volume that you want to restore and press Enter.